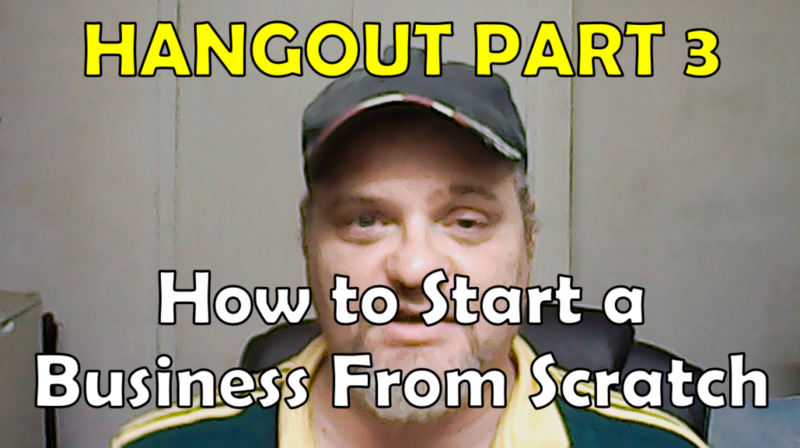 So here we are doing the next Part of the Hangout Series “How To Build an Online Business From Scratch” Its a lot more in depth and should give you an idea on how to take the next step in building your online business. One of my first mistakes I made in getting in this industry was my focus. All I saw was the money I wanted to make. I didn't care what I sold as long as i was making money. I didn't btw. I just because a pain in the neck to others. If you had asked me 4 years ago”what is it I did. I would not be able to tell you. Why? Because I didn't understand what business was TRULY about. Nothing wrong with selling Products. BUT I never understand that the purpose of Selling something was to provide Value to people. I needed to able to sell a product that someone else needed. Not just Sell a product for the sake of selling a product. When you are driven by money which is NOT a good idea. Your focus gets blurred and you end up treating people like dollar signs. Why am I talking about this. Because if you do not have a real reason for why you want to start a business and a real passion you enjoy doing as we discussed last week on the hangout. When you start selling products you won't sell as many and if you make a sale it will be a flook. So what is the thing you need to start to do in Part 3 of this hangout. Watch the Hangout below and you'll find out. Its a very easy step.